Some of my Pre-k kids are so ready to start reading! They have their letter sounds down, are working on blending sounds to make words, and are learning sight words. I am not usually a huge promoter of teaching sight words in preschool, but some kids are just ready to be exposed to them. 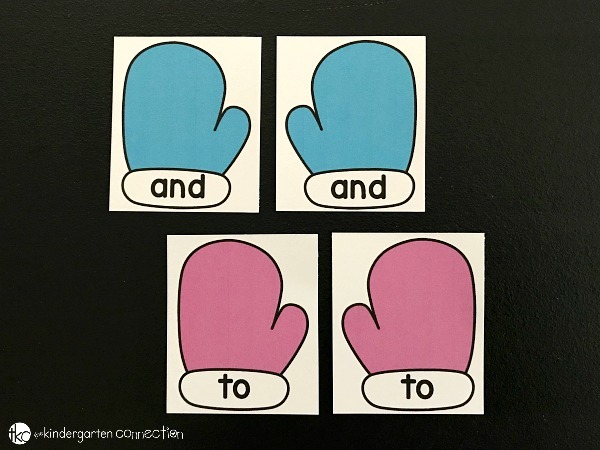 Instead of using skill and drill or flashcard type learning with sight words, using games like our sight word matching mittens are the way to go. My preschoolers love activities like this and I love the different ways to play! 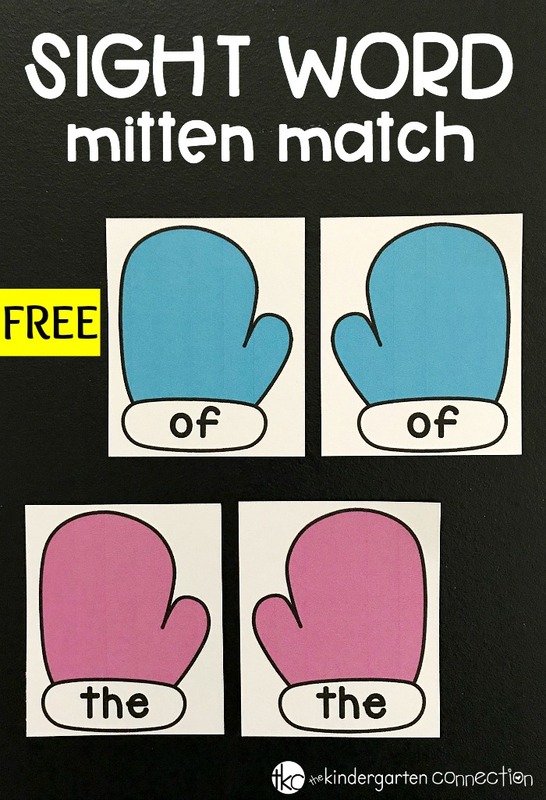 This sight word printable activity includes 30 sets of mitten cards. Each set of mittens has one sight word on it. Prepping the sight word matching mittens activity takes no time! Print the mitten cards from the file below and cut them apart on the gray dotted lines. Save time by laminating first and then cutting the cards. If you are not laminating the set, consider printing on cardstock so that little hands don’t accidentally rip the paper while playing. Place all mitten cards in a basket and it’s time to play! My preschoolers love matching games. I find that these kinds of games build confidence in young learners too! 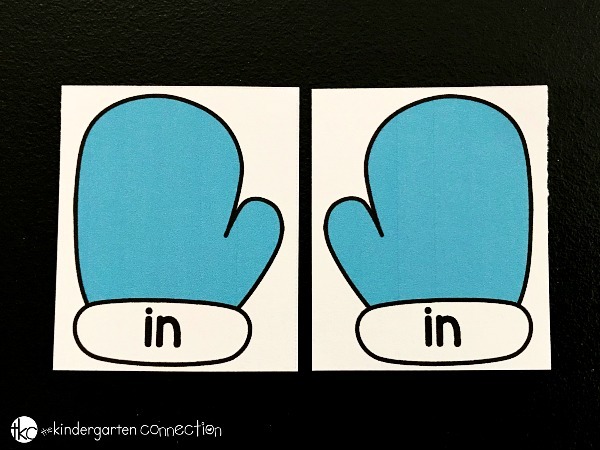 There are a few ways to play with the sight word matching mittens. To introduce the activity, pick a mitten out of the basket and put it on the table next to its matching mitten. Or, place all of the left-sided mittens on the table and pick one mitten at a time out of the basket. It is easier to find matches when all of the choices are laid out in front of you! To change up the basic way to play, pick out 5-10 sets of mittens to play memory with. Line up the mitten cards on the table as a memory game with the cards face down. Pick 2 cards at a time trying to make a match. If a match is made, add it to your pile and pick again. Kids love memory! Just don’t add too many sets at first if the game has never been played before to avoid frustration. As the sight words are becoming mastered and the matching becomes easier, consider adding a stopwatch to the learning game. Have kids time themselves when making matches. Now this sounds super fun for some kids, but others may feel stress from adding a stopwatch. Play this way with those who will love the idea! Another way to play is to make a match, and then write the sight word on a list. Adding post-it notes or a mini dry erase board to this activity would work perfectly! 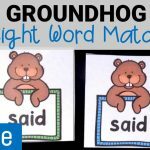 As the matches are made, sight word spelling can be practiced too. Ready for some sight word fun? No matter which way you play, lots of early sight word practice is happening! Grab your own set of sight word matching mittens by clicking the yellow button below. 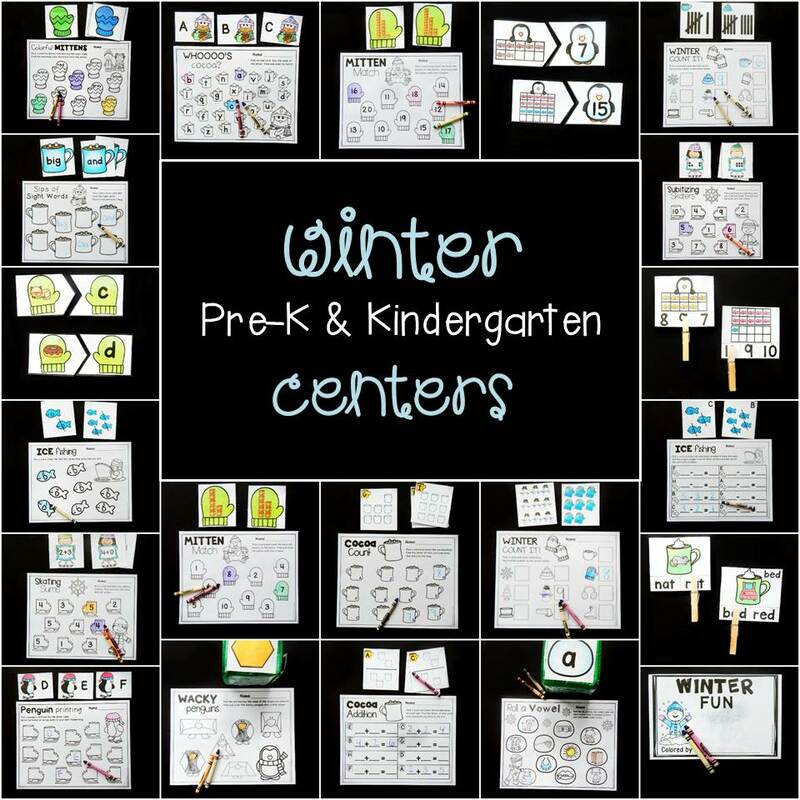 Then, for TONS of winter centers all prepped for you, hop over and grab our Winter Math and Literacy Centers! Would love to have a sheet of blank mittens so you could customize them to the sight words my kinders have been working on up to this point in the year.